When a sunny and summery reprieve finally came a couple of eons ago, I dug out my garden gloves and headed outside to tend to our long-neglected lawn and garden. Even though I had cleaned it all up in the fall, a few months of snow and wind had left a mark. Sticks and leaves and trash had blown in, and even dog poo was left here and there, courtesy of our neighborhood pals. We weren’t paying attention and look what happened! Spring came and exposed a mess that happened gradually, all by itself. That’s a simple fact of life for you: things left to themselves tend to get messy. You can’t expect good things to sprout without planting, or thrive without consistent pruning and care. Only weeds do that! Yard work (and housework) has always reminded me of the work that we, as children of God, are called to do on our minds: “Do not be conformed to this world, but be transformed by the renewal of your mind” (Rom. 12:2). Without constant and ongoing transformation, our minds fall into default mode: we become world-admiring and God-forgetting. You can’t expect good things to sprout without planting, or thrive without consistent pruning and care. Only weeds do that! Which is why I want to make a case for putting some good books on your summer reading list! Reading good books is a big part of transforming one’s mind. And by “good” I mean a book that will encourage you in your faith, help you get better at loving others, and help you grow in your knowledge of God. Here are some ideas (along with a lot of helpful links!). Read Christian biography this summer. Looking at the life of someone who served God and finished well and seeing how God worked in difficult situations and “made all things work together for good” is incredibly encouraging. Reading biographies was helpful to me in our transition years when I didn’t have a mentor close by. I can still hear Amy Carmichael’s lessons in my head, 15 years later. Read books on Christian growth. There is never a point when anyone can say: I know enough about God and the Christian faith. Our minds constantly need the fertilizer of knowledge and the pruning of solid advice. If you are carrying some sort of ministry, summer is a great time to get refreshed and spurred on. As my husband says, “we’re not awesome”. We need constant input, new ideas and the examples of others. Ministry was never meant to be accomplished alone. Are you a Bible teacher? Pick up some books on Bible study this summer. Does your heart ache for the unsaved? Read books about how people from different worldviews think. Are you a parent who wants more ideas on how to instruct your children in the Lord? Read good parenting books written by godly and wise people. Do you find yourself in a lot of heavy conversations with people going through difficult times? Maybe a book on people helping or Christian suffering will help. 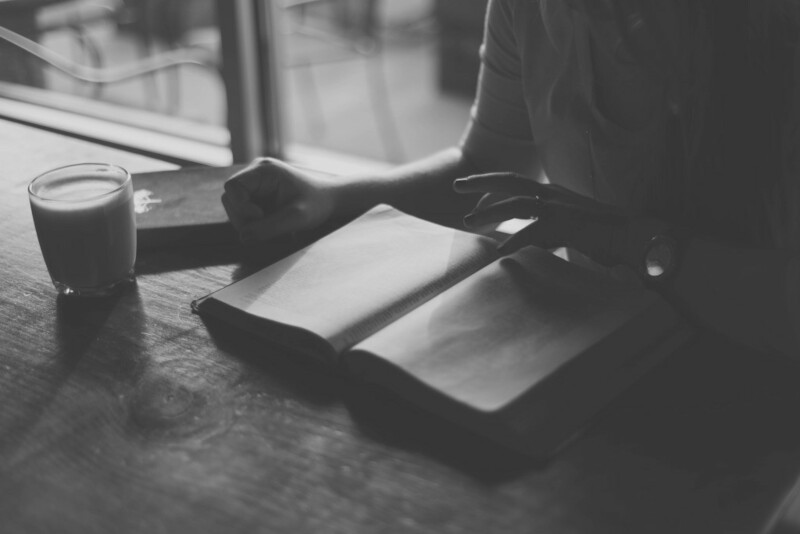 Whatever your ministry – don’t do it alone, read a book. (Click here for a few other suggestions). Read Christian classics! Books become classics not only because their messages endure, but also because these books apply to so many different settings and cultures. There may be centuries between us and John Bunyan, but I promise you, your heart will resonate with his writing as if he is your best friend, no matter where you live – Africa or Nebraska. Very few people in our society are total “non-readers”. Most of us read something, and our brains are capable of learning new tricks. Find a 15-minute pocket of time in your day, and spend that time reading. You’ll be surprised how much you can read by reading only 15 or 20 minutes a day. What a great habit to form. Read and highlight sentences that will define the lesson you can take from that book. It is impossible to remember everything the author offers. What is the one thing that is helpful for you today? What resonated with you and encouraged you? Read and talk about it! Share at your dinner table, on a hike, on a playdate. You will be surprised at how this will enrich your fellowship. Remember that when you grow, others grow around you! 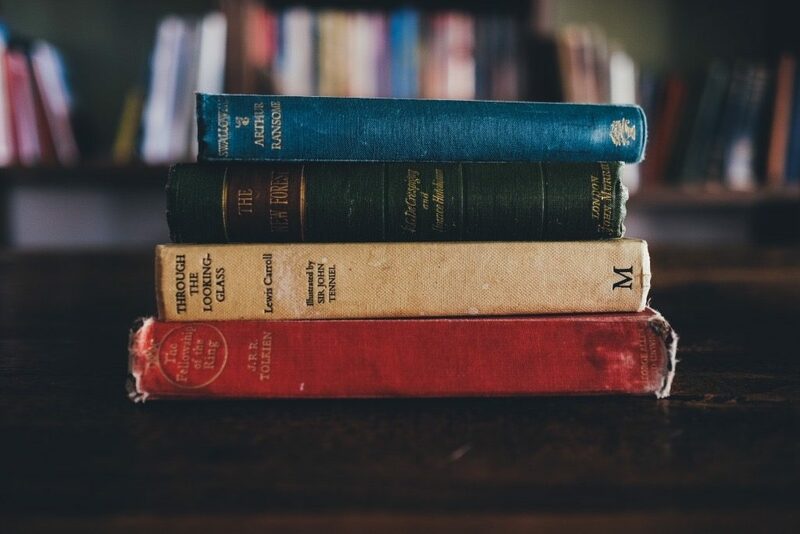 So this summer, instead of checking out mentally, how about nourishing your mind, tending to your soul, and planting good things in your garden by reading good books? Paul reminds us: “whatever one sows, that will he also reap” (Gal. 6:7). At the end of this summer, what will you be reaping? All churches have a liturgy. It is the way in which we worship; the form that our worship takes each week. Now, we may not have the most traditional or orthodox form of liturgy, but we certainly have a form of worship that is similar from week to week and month to month. In thinking through what that form should look like, I would like to propose one thread that runs through all we do in a given service: the Word of God. The first thing that obviously comes to mind when thinking of a worship service is singing. We spend a good amount of each gathering devoted to song. Why do we do this, other than tradition? Looking at the Bible, we see examples of singing throughout: Moses and the Israelites worshipping after God led them safely through the Red Sea (Exodus 15:1-21), David singing songs of deliverance (2 Samuel 22), Paul and Silas singing in a Philippian prison cell (Acts 16:25), and the ultimate culmination of all believers praising God through song in heaven (Revelation 5:9-14), along with many other examples. In addition, we see the command to sing to the Lord repeated throughout the Psalms (Psalm 5:11, 9:11, 30:4, 33:3, 47:6-7, 66:2, 68:4, 68:32, 81:1, 96:1-2, 98:1, 98:4-5, 100:2, 105:2, etc.) 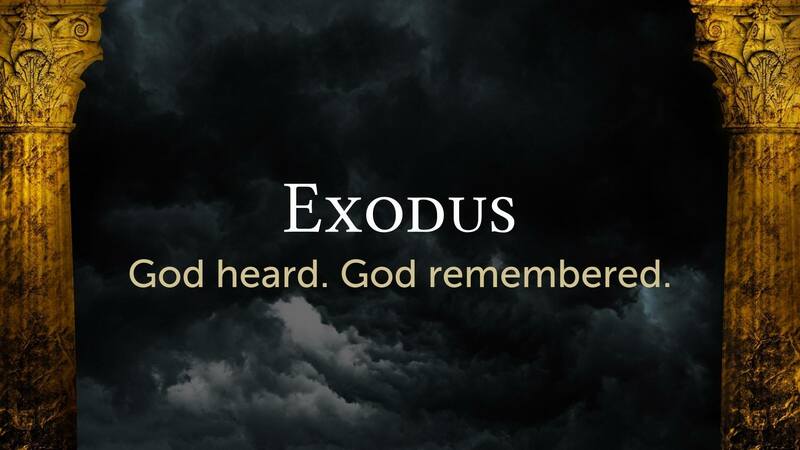 and Old Testament (1 Chronicles 16:9, 33, Isaiah 12:5-6, 26:19, 42:10, 44:23, Jeremiah 20:13, 31:17, Zephaniah 3:14). Ephesians 5:19 and Colossians 3:16 both admonish us to sing “psalms, hymns and spiritual songs” to “one another”, the church. Therefore, we believe that it is right and good to sing to the Lord when we meet together. We want to worship in truth, not just in how we suppose God to be. Another facet of how the Word influences our services and music lies in the songs we sing. 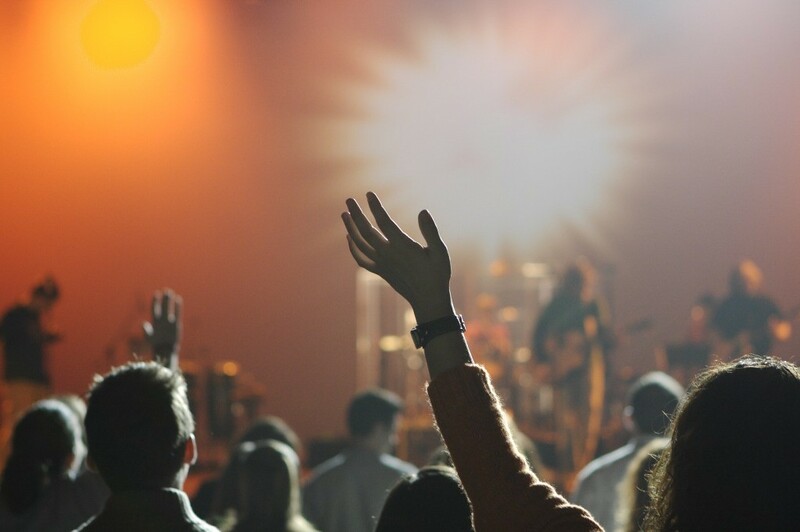 John 4:24 says, “true worshipers will worship the Father in spirit and truth, for the Father is seeking such people to worship him.” We want to worship in truth, not just in how we suppose God to be. The words of the songs we sing need to proclaim truth about God, and to be held up to the standard of God’s Word. They need to reflect his character, the gospel, and who we are in relation to him. All the songs we sing are examined to see if they are an accurate representation of God and based in the truth of the Bible. Songs teach; and we want to teach rightly. There may be some question as to why all this emphasis on the Bible, anyway? Why do we care so much about it? The last main part of our worship form is, simply enough, reading the Word. Singing and prayer are both rooted in the Bible, but this is the actual Word being read, whether congregationally or individually. There may be some question as to why all this emphasis on the Bible, anyway? Why do we care so much about it? The answer, I think, is quite simple: it is God’s very words. In 2 Peter 2:21 we see that the human authors of Scripture “spoke from God as they were carried along by the Holy Spirit.” We also see that the Word is life-giving sustenance: “man does not live by bread alone, but man lives by every word that comes from the mouth of God.” (Deuteronomy 8:3) And, in light of this, what other response is there but to “long for the pure spiritual milk” of the Scriptures? (1 Peter 2:2) God has spoken, and we have the privilege of hearing and knowing his words. What a gift we can share in together! If God is Immutable, How Could Gifts Cease? im·mu·ta·ble /i(m)ˈmyo͞odəb(ə)l/ adjective; unchanging over time or unable to be changed. Someone texted in this question during the Spirit of Truth Conference Q&A panel. It seems to approach the concerns that might be brought about by a cessationist’s (one who believes certain spiritual gifts are no longer in use today) viewpoint on the spiritual gifts. The goal of the conference was not to argue cessationism vs continuationism (the view that all spiritual gifts are still active today). But it came up a handful of times, and it definitely causes disagreements in the global church. Rather than arguing for cessationism or continuationism in this response, I think it will be more helpful to show that, while there may be good arguments for continuationism, arguing for that on the basis of God’s immutability (unchanging) is not valid. To get to the heart of this we have to understand what God’s immutability implies. Immutability means that God is unchanging in his character, though not necessarily in his dealings with humanity. God does not change (Malachi 3:6). God does what he says he will do (Ezekiel 24:14). God does not make things up or lie (1 Samuel 15:29). God is eternal in his nature (Psalm 90:2-4). God’s holiness and glory are unchanging (John 17:5). And on we could go. Thanks be to God we in Christ can wake up each morning and praise our immutable God who changes in his interactions with sinners. He once was at war with you, and your sin was your death sentence. But, by the grace of God in Christ, we can now be called children of God – not enemies. You were once far off but are now near by the blood of Jesus Christ (Ephesians 2:13). Every cessationist that I know of is absolutely convinced that God is unchanging in his character. God would not be God if his character changed. The view that certain gifts have ceased reflects a change in God’s dealings with his people, not his character. The same argument could be made for Jesus’ earthly ministry. If we felt Jesus’ presence with us during his time on earth was a character trait of God, we would be terrified to see him leave us and return to Heaven. But he did go, and that is a change in God’s dealings with us, not his character. 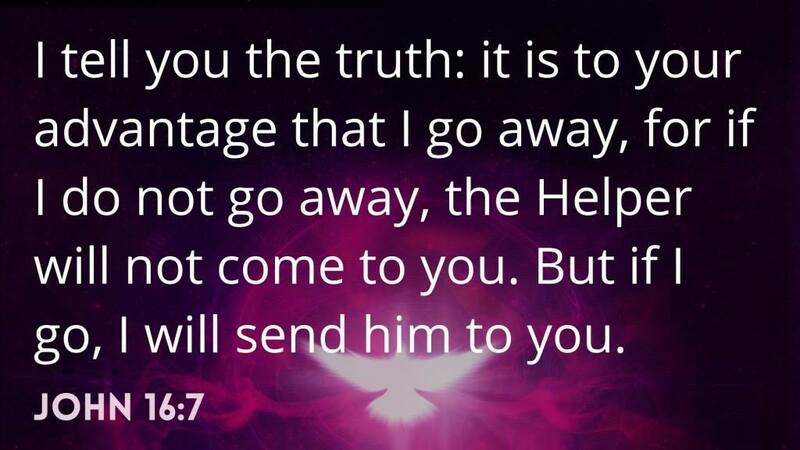 Jesus came for our salvation and returned to the Father glorified as our advocate. 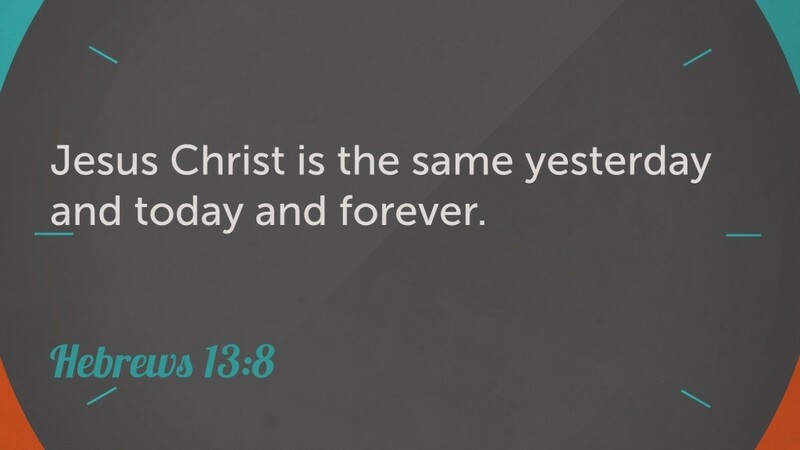 In Jesus, we see God’s unchanging eternal character (holiness, eternality, truthfulness, etc. ), and we also see a massive change in God’s dealings with us. Believing that certain gifts have ceased does not require God to have changed. Just as Jesus came at a time and point in history to fulfill the law of God, so viewing certain gifts of the Spirit to have been used at one time in history and now no longer used makes no impact on God’s eternal unchanging character. What is the Spirit’s role in predestination? Can I receive the Holy Spirit if I was not predestined to Heaven? If the Spirit starts the work in someone’s heart, does that imply that there is a distinction between chosen and unchosen? We have to begin by defining predestination. Predestination is often associated with Calvinism, but it is a doctrine found all over Scripture, especially the New Testament (Matthew 24:22, 31; Mark 13:20, 27; Romans 8:33, 9:11, 11:5-7, 28; Ephesians 1:11; Colossians 3:12; 1 Thessalonians 1:4; 1 Timothy 5:21; 2 Timothy 2:10; Titus 1:1; 1 Peter 1:1-2, 2:9; 2 Peter 1:10, et.al.). Predestination means that God sovereignly chose (elected) certain individuals to salvation before the foundation of the world. Sometimes the word predestination makes people think of robots, with no will or role in salvation. However, Ephesians 1:11-13 makes it clear that we are predestined by the will of God AND that those who are saved “heard the word of truth, the gospel of your salvation, and believed in him.” In order to be saved, we must believe, and believing is a genuine act of our will (Romans 10:9, Ephesians 2:8). We are not robots; we choose to believe in the gospel by faith as it is revealed to us by the Holy Spirit. So what is the Spirit’s role in this? In John 6:44, Jesus says, “No one can come to me unless the Father who sent me draws him.” This drawing or calling to Christ is what Jesus explained to Nicodemus a few chapters earlier (John 3:7-8). 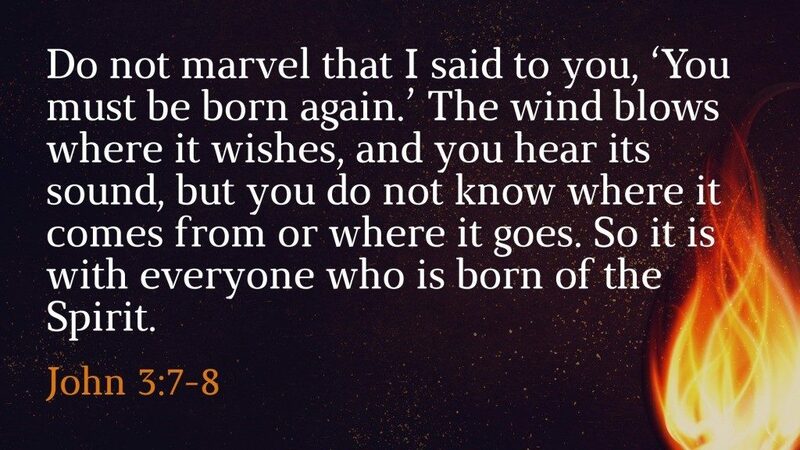 After telling Nicodemus he must be born again, Jesus said: “Do not marvel that I said to you, ‘You must be born again. The wind blows where it wishes, and you hear its sound, but you do not know where it comes from or where it goes. So it is with everyone who is born of the Spirit.” The Holy Spirit draws us to Christ, and that is one of the Holy Spirit’s roles in predestination. The Spirit draws the unbeliever to Christ so that he may be born again. When a person is drawn by the Spirit and trusts in Christ, he or she becomes a child of God and is indwelt by the Holy Spirit (Romans 8:15-17, 1 Corinthians 12:13). The Holy Spirit only indwells those who hear and believe the gospel. Also, Ephesians 1:13-14 teaches that the Holy Spirit seals the believer as a guarantee that the inheritance that God promises will be fully acquired. So not only does the Holy Spirit draw us to God and indwell us once we believe, but he also seals our position as children of God for eternity! God is so gracious to us! He not only makes the plan for our salvation through Christ, he also completes it in us through the mighty work of his Spirit. We are also making Sam Parker’s notes available (click here to download) in case you missed some of the references or want a guide to go along with Sam’s talk. Also, coming soon, we plan to publish articles answering the Q & A Panel questions. Those will begin to roll out tomorrow morning. Check back tomorrow for Burt Newman’s take on the several questions related to predestination and the Holy Spirit. In just a few weeks, many people will leave Ridgeview Bible Church; many who will never again be a part of this church. We face this every year, and it is a bittersweet reality for sure. But it is also the nature of Ridgeview. 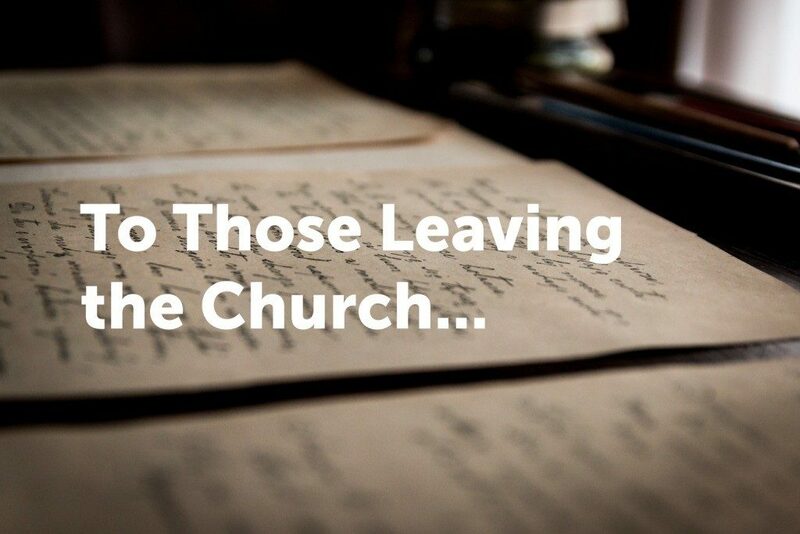 Along with all the wonderful benefits and joys of being a “college church”, there is a sad side too; the time when we say “goodbye” to many who have been a part of the church for 4 years or more. So the time has come for you to move on. It’s a new chapter in your life, and we are excited for you – excited for what God has next in your journey. Thank you for sharing your time here with us. Thank you for being a part and plugging in and serving others. Thank you for catching the vision to be both a Paul and a Timothy – seeking discipleship for yourself while also seeking to disciple others. We’re grateful for your work here, and trust that God will continue bringing fruit from it long after you have gone. You might not know this, but when you arrived in Chadron 4 years ago (or 5 or 6 🙂 ) the elders prayed hard and often for you. We prayed that during your short time here you would grow in your understanding of, and confidence in, the gospel. We prayed that you would grow in your walk with Jesus. We prayed that you would come to see church as more than a Sunday thing, but a 24/7 family. We prayed that you wouldn’t let college destroy your faith. We prayed. And here you are, at the other end of this chapter. We hope that your time here has been good for your soul, and good in a lasting way for your life. If we could say one final thing – one last attempt to encourage you – it would be this: be determined and intentional about finding a new church in your new city or town. Find a church that loves the pure gospel of Jesus Christ, loves God’s people and God’s mission and is centered on God’s Word. Don’t compromise on those essentials. Having said that, keep in mind that churches look different in different places. 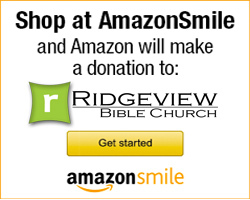 I don’t think you should search for a church that looks just like Ridgeview. You need a church that looks like the Bride of Christ. And, by God’s grace, she is beautiful wherever she is found. And while there are no perfect churches, there are many healthy ones. So find a local church that loves God, loves his people and loves his Word. When you do find a church like that, go all-in. Don’t be afraid to dive right in the deep end. Don’t merely go to church; be the church. We get it – sometimes it is hard to re-engage. But just do it. Roll up your sleeves and get involved. Look hard for a Paul and find a Timothy or two. Serve the body of Christ right away. Even if you weren’t very involved here, get involved there. No Christian is called to stay on the periphery of church life. We’re all called to be the church. If you need anything from us, please don’t hesitate to call. But we hope that you won’t need us for very long. And that is not because we don’t love you – it is because we do. We love you enough that we want to see you in a new local church, with new pastors and new brothers and sisters in Christ who will be there for you when you need help. Thank you for your time at Ridgeview. May you leave here set on making much of the name of Jesus everywhere that you go. And feel free to visit us from time to time. We will miss you. For those of you that don’t know me, I will confess that I’m a sports junkie. I’ve played, coached or watched sports since I was born. My wife has been a high school volleyball coach for nearly 30 years. I have two children who were college athletes. Sports are my life. That is why I became involved in Fellowship of Christian Athletes over thirty years ago. FCA was a way I could intertwine my love for God with my love of sports. It didn’t have to be one or the other. Our athletic abilities are a gift from God and the way we utilize our gifts bring Him glory. I completely believe that the effort we give when we compete in athletics is a form of worship! We glorify God when we do sports God’s way. You can’t do sports God’s way unless you know God. But I have another confession. I didn’t see that connection until years later when I truly understood the Gospel myself. That’s why my passion, for the last nine years, has been sharing the Gospel with high school and college athletes. After all, you can’t do sports God’s way unless you know God. My hope is that they can apply their faith to their athletics NOW instead of waiting to figure it out when they are a 52-year-old washed up ex-high school football captain. If they can learn to live the Gospel while they compete, they will definitely be able to incorporate their faith into their jobs, their relationships and their families! One last confession. While I love any and all sports (Ok, maybe not NBA basketball), there is one that holds a special place in my heart. Wrestling. No, not WWE pro-style wrestling. I’m talking about the ultra-physical sport between two competitors who are attempting to gain and maintain a superior position. It is one of the oldest forms of combat. The ironic truth? I only wrestled until my 7th grade year in junior high. Why? Because it was so demanding, physically and mentally. My son, Tyler, was born to be a wrestler and began wrestling in 4th grade. That’s what led to my love affair with the sport. I went to practice with him and learned technique from the other coaches. I saw the physical preparation that was required to be competitive. While he was young, we drove all around the state of Wyoming watching him compete in tournaments. He had a successful high school career and was given a scholarship to wrestle at Chadron State. Incredibly, we moved to Chadron the very same year he started college. That gave me first-hand experience of the commitment required to be a college wrestler. My admiration for the sport and for the young men and women who compete in it took a step to another level. Because of the strenuous demand of this sport, wrestlers must attain a level of physical fitness far and above that required by most other sports. That means hours of conditioning, both strength and cardiovascular. There is also a demanding mental component. Wrestlers drill for hours learning techniques that will give them an advantage in competition. Because of weight requirements, wrestlers must be super dedicated and disciplined in their nutrition and caloric intake. Now combine this with attending study hall and classes and you can begin to see why I have such great admiration and respect for the athletes who compete in this sport. It’s a truth that I’ve believed for years. Christianity and wrestling go hand-in-hand. They both require faith, discipline and commitment. So, you can imagine how grateful and excited I was when Brett Hunter, the wrestling coach at Chadron State, asked me to be a spiritual mentor to this year’s team! I’d already built a close relationship with several Chadron State wrestlers through the college’s FCA huddle which I’d been involved with for the past seven years. Coach Hunter had some character issues with his team over the past couple of years and wanted to change the direction and culture of his program. He observed a truth that many throughout the sport had witnessed over the past several years. Many successful wrestlers (Olympic and college) were Christian and many successful college programs were led by Christian coaches. It’s a truth that I’ve believed for years. Christianity and wrestling go hand-in-hand. They both require faith, discipline and commitment. Neither Christians nor wrestlers can cut corners. There is no easy way out. You have to deny yourself daily. But the strongest intersection between both? The audience we compete for. As followers of Jesus, the Bible reminds us that our motivation is to please God not man. It also instructs us that, in whatever we do, we are to work heartily for the Lord and not for men. That should be the same motivation in competition. Wrestlers shouldn’t be fearful of pleasing family or friends. They shouldn’t be worried about how the coach feels they performed. Believe it or not, winning or losing should be of little concern. Honestly, those things are beyond our control. The focus of the Christian wrestler is to open up, compete to the best of his or her ability and to give God the glory. That takes all the pressure off. There is freedom over fear in Christ. Isn’t that how we should live as Christians too? Needless to say, the season has been a blast. I’ve met almost weekly with team members and coaches who choose to attend our motivational Bible study called RAW (Ready And Willing). I’ve spent time in the wrestling room and even traveled to a tournament in Colorado with the team. It’s been fun building relationships with each of them. It’s also been a learning experience and I’m already excited for next year and the opportunity to build on the foundation that God established this year. Hopefully, as their faith grows, so will their confidence on the mat. In the end, there couldn’t be a better win-win situation. Believers in the New Testament had fellowship together. It is an odd word, isn’t it? Fellowship. What does it mean and why is that detail about believers included in God’s Word? Real fellowship is a deep love for our brothers and sisters in Christ; a visible love that will attract other people to Jesus. Biblical fellowship is rooted in Jesus. 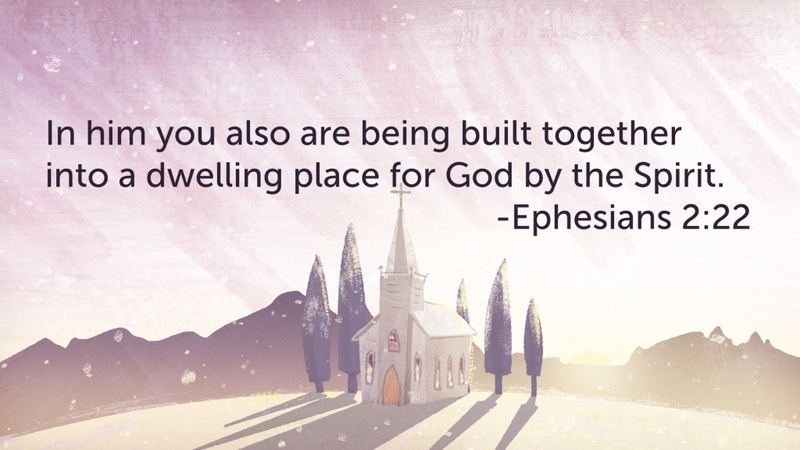 Through him, believers become united together in Christ as fellow citizens and heirs (Eph 2:19, 3:6), and partner together for the gospel (Phil 1:5). In Acts, fellowship looked like doing life together – a life primarily focused on the advancement of the gospel (Acts 2:42, 4:32). Real fellowship is a deep love for our brothers and sisters in Christ; a visible love that will attract other people to Jesus. I was shocked, rebuked, and then convicted when I realized John uses “one another” in his gospel and in 1 John to refer to fellow believers. Our Lord Jesus commands this love for fellow believers at least 3 times in the gospel of John (John 13:34-35, 15:12, 15:17). John emphasizes this commandment of Jesus 4 times in 1 John (1 John 3:23, 4:7, 4:11, 4:12). He even says that one evidence of our salvation is our love for our brothers (1 John 3:14). Let the weight of that sink in a bit. Why do we need fellowship? God, in his great wisdom and because he alone is our provider, knew we would need to be loved like this. Maybe not today or tomorrow, but someday and possibly sooner than we think. The road is hard, suffering is promised, the world (maybe even dear friends and family) will hate us and yet we must persevere until the end (Hebrews 3:14). How? By God’s grace, he has given you an eternal family to exhort you every day; to serve you in your darkest hour, and to strive side by side together for the faith of the gospel (Phil 1:27). 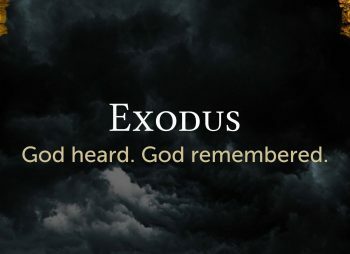 A family that you also have a responsibility to exhort every day so that none of us might be hardened by the deceitfulness of sin (Hebrews 3:12-13). A family to lift your hands up together with on Sunday mornings and praise God in the best and worst of times. A family to bear unspeakable burdens with you. The world cannot love you like this. Those of you who have experienced some of these things from your church are nodding your head right now. I can hear your “Amen” and I join you! You can tell of God’s mercy that he has extended to you through the body of Christ. You can recall that time when you had no words to pray and your brothers and sisters endlessly interceded on your behalf. 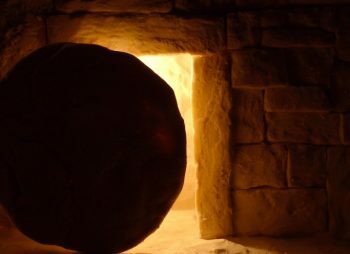 You remember the Sunday you wondered if you could ever continue another day in this fight for the faith and you walked in that door only to be refreshed and renewed. This bond between believers surpasses all others and satisfies our deep need for community. This is how God designed it and like everything else he designed, it is good (Genesis 1:4). We experience this deep, relational community in the greater body of Christ with our brothers and sisters around the world but more intimately this fellowship is intended to be lived out within our local church. Periphery isn’t real fellowship and if we stay there we miss out on an important and necessary means of God’s grace in our lives. If God’s design is ultimately what we should desire and strive for, why are so many of us content to stay on the periphery of our church? We attend church but we rarely get involved in anything outside of Sunday morning. We make small talk, but we never share our life or become aware of the needs of others. In fact, we don’t really want to be involved in church because our schedules are too full already. Church falls off the priority list when it competes with sports, vacations, hobbies, exercise, work, sleep, etc. To my great shame, this was how I interacted with the local church for many years. My thoughts about my life, my wants, and my over-packed schedule ruled my interaction with church. Idolatry. Putting other gods in place of the one God, for whom we all exist and in place of our one Lord, Jesus Christ, through whom we exist (1 Cor 8:6). So, what do we do? This post can’t change hearts. Only God can do that work through his Spirit and oh how I pray he will! Father, open our eyes to see and experience this glorious truth! Father, help us to look at our schedules and re-prioritize (or remove) to make room to love “one another” and engage in true biblical fellowship with our local church. Father, help us make time for fellowship outside of just Sunday morning. Father, help us prioritize building relationships and discipleship within the church. Father, help us to leave room in our schedules, so when a need arises within the church we have the time and the energy to fill it. Father, help us say goodbye to the periphery. After discerning the meaning that was originally intended by the author, it is time to ask the question: how is this relevant to me? How do I respond to this today, in my context? This is what the last step of Bible study is all about: application! Without application all the effort you put into observation and interpretation is just vapor that will dissipate as soon as you close your Bible and notebook. The Word of God, written for you thousands of years ago, will fall flat if your mind and heart and practical life are not transformed by it. Think about it – the Word of God falling flat! In 2 Tim. 3:6-7, the Apostle Paul warns about people who are always learning and never able to arrive at a knowledge of the truth. In other words, it is possible to take in all the teaching and enjoy the intellectual exercise but do so in an empty way: with one’s life still marked by sin and various passions (2 Tim. 3:6). So how do we “arrive at a knowledge of the truth”? As we seek to apply a certain passage, we need to remember an important principle: the way we respond to a passage must be shaped by the main idea of the passage. There are usually many ways to apply a given passage. And the specific ways one will apply a passage will vary depending on his or her age, background, and place in life. Even so, a legitimate application will always have something to do with what the author actually meant for us to come away with. Thankfully, there is not a situation in my life that the Bible doesn’t address in some way! But as I seek to apply the Bible to various situations, I have to consider what the author was driving at. Because of the real and present danger that unbelief poses to Christians, the writer of Hebrews urges Christians to exhort one another every day in order to help each other continue holding on to our original confidence, and thereby show that we have truly shared in Christ. How do we apply this? When we think “application”, it may be helpful to think about three areas: 1) the head, 2) the heart, and 3) one’s practical life. Let’s walk through those three areas. What are some truths in the passage that I am to believe? What are some lies that this passage brings to light? What truths about God expressed here am I finding difficult to believe? Believing means more than simply affirming a set of statements. It means embracing them as true. In our passage, some truths are made clear. For example, the sin of unbelief is deceitful, and it has a heart-hardening effect. Do I really believe that? What is the original confidence that I am to hold onto? Surely, this refers to the gospel – the very foundation on which my new life with God began. Have I added something to that along the way? What I am hearing around me or in my culture that undermines that original confidence? How does the meaning of the text affect my affections and attitudes of my heart? Do I feel the weight of the warning, and the urgency in this passage; the danger of not holding on to my original confidence firm to the end? Do I sense that danger for myself, and for those around me? I need to think of the Christian faith as a marathon, not a sprint. A famous Bible teacher once said: “Don’t make 5-year long plans. Rather, think of yourself in 60 years: where will you be?” That is in line with this passage – will my original faith be deep and strong and shareable in 60 years from now? What things must I do today for that to happen? How will this passage shape my personal life? How will this shape the way I relate to my friends or family or with the people I disciple? And since all sin is rooted in unbelief, a clear way to apply this passage is to fight sin! So, I will fight that unbelief by saturating myself with the Word of God and surrounding myself with people who can discern in me a hardening of heart and exhort me to grow in my faith. Hear the imperative in this passage: “Take care and exhort one another” (v. 12,13). Do I love my brothers and sisters enough to warn them against a hardened heart? Do I love God’s people to the point that I don’t miss opportunities in friendships and relationships, but instead use every opportunity to build others up? Note: This is the 3rd of a 3-part series on How to Study the Bible. For part 1 of this series, click here. And click here for part 2.